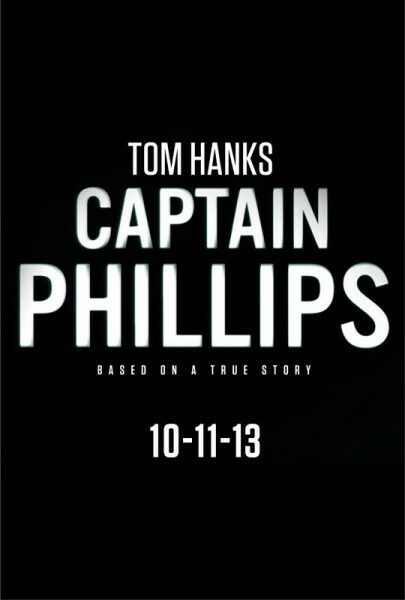 Review: For some reason, I resisted seeing Captain Phillips longer than I should have. Though I had many chances to attend it during its advance screening phase I either found another screening to attend or came up with a reason why I didn’t want to sit through it. I got the feeling this was one movie that you had to be in the right frame of mind/mood to see and I didn’t want to see it just because it was next on my list. Finally, in the last few weeks it was the right time and after seeing it I wished I hadn’t waited so long. Though I knew the basic plot of the film and how it was all going to turn out, I had deliberately distanced myself from further details so I could let the movie fill in the gaps for me as it developed. I’m glad I did too because Captain Phillips turned out to be one of the more gripping films I’ve seen all year, housing two unforgettable performances. The film begins with two men heading to sea. The first man is Tom Hanks (Joe Versus the Volcano, Cloud Atlas, Splash!) 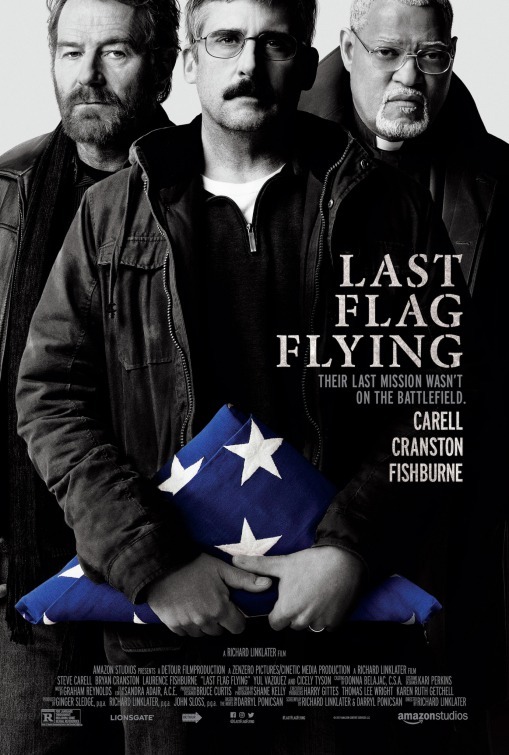 in the titular role, an old school sea captain that finds himself taken hostage by Somali pirates when they make their way onto the cargo ship he’s piloting. The second man is newcomer Barkhad Abdi as Muse, the leader of the pirates who makes a bold play for such a large ship and winds up increasingly over his head as his hurried plans go awry. Though neither men know it at the outset, both are embarking on a trip that will alter their lives (and the lives of the men that serve under them) forever. Director Paul Greengrass has staged his previous films (United 93, The Bourne Supremacy, The Bourne Ultimatum) with a herky jerky handheld camera style that sent more than a few green faced audience members running for the bathroom but thankfully there’s precious little of that here. The rugged camerawork of Barry Ackroyd perfectly captures the oncoming meeting of the two captains and Greengrass works with editor Christopher Rouse to amp up the tension slowly until the final act of the film turns into a total edge of your seat nailbiter. Working with a script from Billy Ray (Color of Night, The Hunger Games) adapted from the book by the real Captain Phillips that wisely refuses to make the Somali pirates totally evil, the film gets more interesting as it goes along because we begin to understand why these Somali men have gone after the ship with such vigor. We know they are in the wrong but without being overly sympathetic to the pirates there is empathy shown that makes the film that much more commanding. I’ve grown accustomed to Hanks being solid in every movie he’s involved with. Though I think his genial personality has given him a few more free passes on lousy films than the normal Hollywood star would get, there’s no denying that the man has charisma that only maturity in the business can bring. I found him to be slightly miscast as Walt Disney in Saving Mr. Banks with too many aw shuck-y moments but as Captain Phillips he reminds us all why he’s won two Oscars and been nominated for three more. I had been told that Hanks was particularly effective in the final ten minutes of the movie and while that’s definitely true, I found him to be locked and loaded for greatness from the moment he appeared on screen. If Hanks hits a home run than Abdi knocks it out of the park. A former cab driver in Minnesota, Abdi was picked along with three other Somali actors for roles in the film and Abdi delivers one of my favorite performances of the year. In a role that’s equal parts bravura machismo and childish naïveté to the danger he’s making for himself, Abdi dissolves completely into the role at times alternating between fear and desperation in his quest. Without giving too much away, I think there’s one decision Abdi’s character makes with the full knowledge of what the outcome will be…yet he makes it anyway because it’s the only choice his character can live with at that point in time. It’s a haunting performance, totally captivating, and honestly unforgettable…writing about it now I still shudder at several passages of the film he has total ownership of. This is a great film – don’t be a wuss like me and put it off for so long that your attention is clouded with other less worthy films. Hanks and especially Abdi do incredible work and if I’ve failed to mention anyone else in the film it’s not because they aren’t great as well…it would just be unfair to single out any one of the talented ensemble that supports Hanks/Abdi deliver the performances they have. Thoughts: Maybe it’s just me but I think that at nearly three minutes this trailer is way too long and is heavy on giving away some major plot points right off the bat. True, if you read the description or are familiar with the true life story you know what you’re getting into and what the resolution was but there’s something to be said for keeping your cards close to the chest. Director Paul Greengrass (United 93) has the proven experience to be the right guy to helm a picture like this but I’m not yet sold on Tom Hanks (Extremely Loud and Incredibly Close, Cloud Atlas, Splash) in a role that looks to be chosen mostly for Oscar potential (same goes for his other 2013 film, Disney’s Saving Mr. Banks). 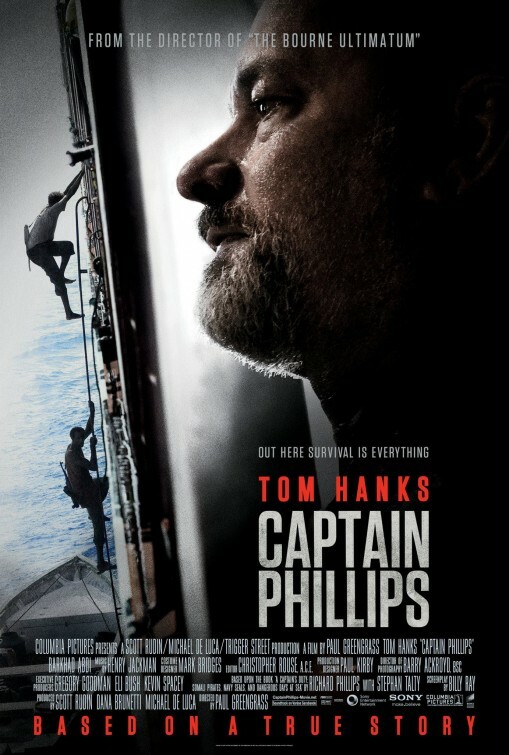 Reservations aside, the final moments of this trailer did make me sit forward in my seat a little bit more…here’s hoping when Captain Phillips is released in October that it’s not waterlogged.